This past spring term, Rare Books and Special Collections hosted a number of classes from a wide variety of disciplines, including English, history, art history, German studies, Asian studies, and many more. We love hosting classes, as it allows us to introduce so many more students to our amazing collections. We especially love to see the results of the students’ work with our collections and the incredible insights they bring to their topics. Now we’re very happy to share some of this great student work with you! 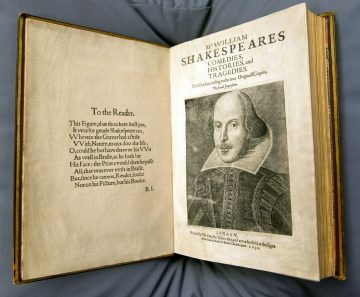 One of the assignments for Professor Patsy Badir’s course, “Image and Text in Seventeenth Century Literature,” was an in-depth exploration of a single book from a selection of 17th-century items here at RBSC. Students were asked to research the history of the item and introduce it to a public audience online. We have a few of these student projects to share with you and hope you enjoy them. Perhaps you will be inspired to stop by RBSC to see one of the items for yourself!